Ever wanted to create your own unique killer horn riff? Need a haunting trumpet line or a jazzy sax solo? Sick of using unrealistic synth emulations? 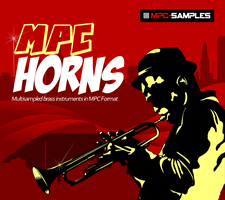 Turn your MPC into a virtual brass section with MPC-Samples latest instrument multisample collection, ‘MPC Horns’! Inside you’ll find 6 multisampled brass instrument programs recorded directly from actual acoustic brass instruments - Alto Sax, Tenor Sax, Flugel Horn, Trumpet and two different Muted Trumpets. Each instrument is fully multisampled across its effective acoustic range, with plenty of natural timbre changes from note to note to ensure your performances sound incredibly realistic. MPC Horns is compatible with all MPCs – just load up the most appropriate program file for your MPC model and the instrument will map itself across your pads in correct note order – you can then create your own horn lines using your pads or via an attached MIDI keyboard. MPC Horns is the world’s only multisampled horn collection for MPCs – available exclusively from MPC-Samples.com! How are articulations handled for individual instruments? Is each a separate program that's loaded to separate tracks? Same program accessible by program change? Secondly, do you create these using the method you describe in the X/Live Bible or something more sophisticated? I am interested in some of your multi-sampled instruments and have some old instruments I want to dig up. But I remember using external program changes to "key switch" between articulations. Problem is I want these now mostly for stand alone work where I'd have no access to other instruments to send program changes from. And my understanding is the the Live doesn't support internal program changes for this purpose. So I'm wondering how I would go about this using the articulations without using a separate track for each. I guess this is a part multi-sample, part Live feature question. You'd have to use separate tracks for instruments with multiple articulations. Or combine them into a single program over unique keyboard ranges. Yeah, I was thinking octaves, or maybe velocity layers. 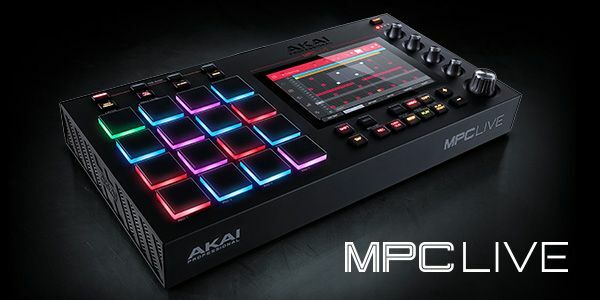 I'll add internal program changes to my list of requests to Akai. A way to "key switch" would be a great addition to stand alone mode. I'm looking forward to the tutorials as I'll be making a lot multi-sampled instruments to stand in for my VSTs. But you cover at least similar techniques in the Bible for creating instruments, correct? And does that included instruments with velocity layers? Yes, I have chapters on building keygroups/multisampling and my vst2mpc workflow including multiple velocities so plenty of content for people looking to multisample instruments.